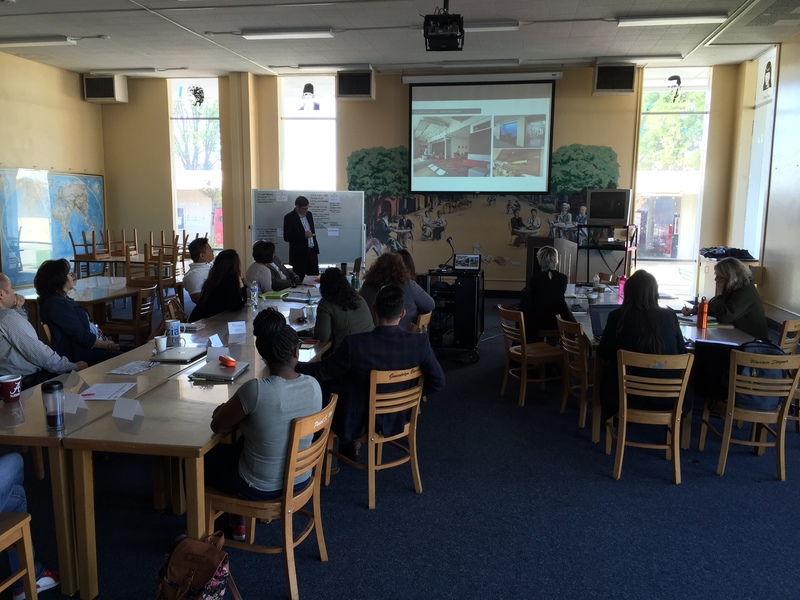 An Inclusive Design Process for a Changing High School Curriculum | whitespace. 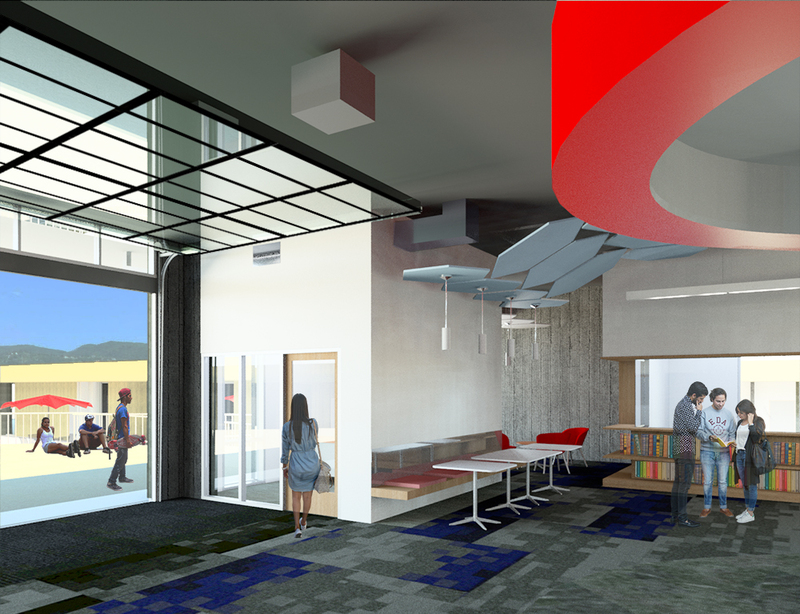 In 2016, Gould Evans began a partnership with the East Side Union High School District to design a new college-style Student Center for the Mt. Pleasant High School campus by modernizing an existing library and adjacent exterior quads. The District had committed to creating new Student Centers for each of its campuses, to better leverage assets on campus. It also recognized the characteristics and evolving expectations of Millennial and Gen Z learners, and the pedagogical changes that emphasize on collaborative work. 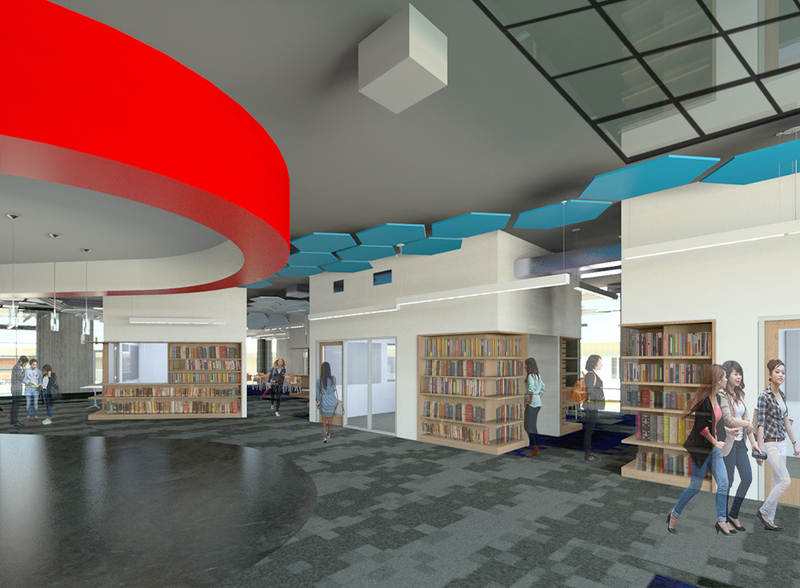 In response, the project creates spatial variety that supports diverse learning styles and encourages more interaction within the high school community. The above image shows an axon of the Mt. Pleasant project and illustrates the various types spaces that support diverse learning styles and more interaction (Image credit: Gould Evans). At Mt. Pleasant High School, we worked with the District, staff, faculty, and students to design a space specific to their community. The school’s students often have challenges in finding places to study, complete their group projects or more simply use a printer. This was often complicated by the available hours for use of the library. 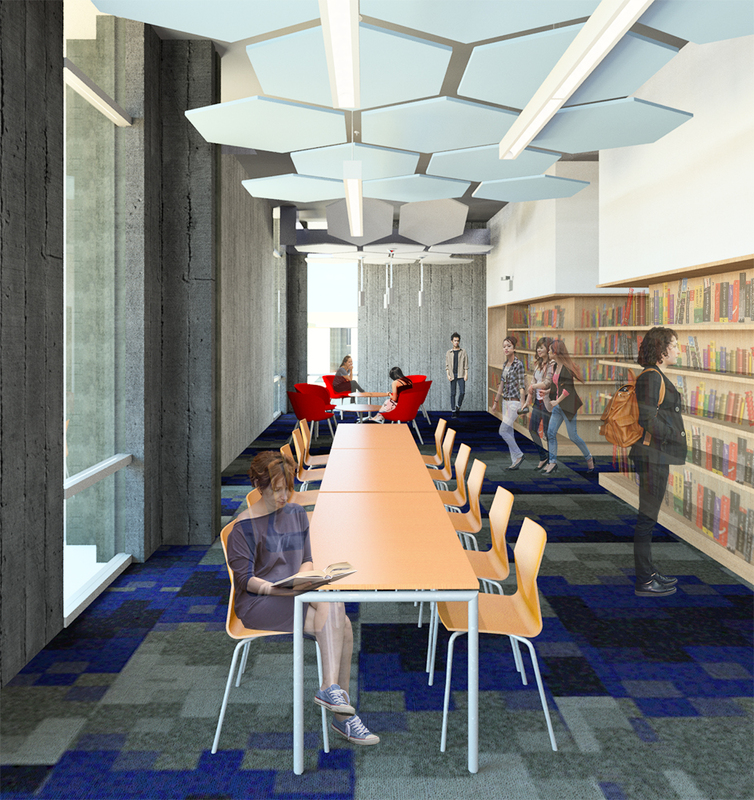 Funding challenges made having a full-time on-site librarian impossible, which meant that the library – the only student space specifically provided for student study – was not always available. The Gould Evans design team had several meetings with the District, staff, faculty, and students to explore and design a space that was specific to their school and community. This particular meeting was conducted in the space that will be transformed into the new Student Center (Image credit: Gould Evans). We created an inclusive design process to ensure that the new Student Center didn’t just look the part, but incorporated the particular issues of staffing, identity, equity and pride that were articulated by faculty, staff and students. Prior to generating any conceptual drawings or sketches we worked with our Building Committee to generate four guiding principles and discussed how we could use design drivers to meet these goals. Access & Scale – This was about providing access to all, open all-day and every day, and incorporating various scales of spaces – big to small. Equity & Dignity – This is about trust, student ownership and a place for students to feel included. Community & Connection – This is about creating a place that feels better connected to the campus, has resources that can serve the entire campus community and draws the student body together. Versatile Learning & Social Space – This is about creating zones for different styles of learners and different activities, integrating flexible technology, “eat where you learn,” and making the space look and feel unique. 1. Inclusion of the 5E’s Concepts – We wanted students to experience this new Student Center in a specific way. The 5E’s Entice, Enter, Engage, Exit and Extend were a mechanism for our team to discuss how to get students intrigued enough to seek out the Student Center and participate in making the space their own and then want to return. 2. Re-aligned entries to address true student flow onto campus. The image above shows one of the newly realigned entries to the Mt. Pleasant Student Center (Image credit: Gould Evans). 3. A series of flexible spaces that can either function as staff offices or study rooms to account for staff ebbs and flows. The center had to accommodate more staff, to ensure desired hours of operation and to connect students more frequently with faculty and staff. The Mt. Pleasant Student Center offers a series of flexible spaces that are designed to account for staff ebbs and flows (Image credit: Gould Evans). 4. Social-centered “Café” with the spatial flexibility and technology to host speaking events, presentations and gatherings. The Cafe offers students and staff a place to gather and present in (Image credit: Gould Evans). 5. A hierarchy of spaces and enclaves to support individual study, group work or small assembly. These spaces are distinguished from each other through clear floor patterning, ceiling color and height adjustments, placement of the flexible offices/study rooms and “mood lighting” that evokes a coffeehouse feel. Spaces are distinguished from each other through clear floor patterning, ceiling color and height adjustments. The design team also use “mood lighting” to evoke a coffeehouse feel (Image credit: Gould Evans). 6. The “porches” at both the north and south quad become stages for student activities, outdoor learning and gathering, connecting the Center with the campus at large. Additionally, these porches enable equitable arrival and gathering for students with disabilities. The Student Center provides a symbolic and physical hub for student life, but is designed to be flexible and evolve over time to remain resilient to changes in technology and curriculum. The strategic incorporation of academic support staff into the Student Center – which houses offices for academic counselors – enables support services to be better integrated into the students’ social experience and allows it to be open for longer hours. The above image shows an annotated aerial view of the Mt. Pleasant Student Center created by the design team. It is a result of a dot polling exercise in which the users pointed in a clear direction for further design development (Image credit: Gould Evans). This careful integration of student support services shifts students’ perception of the Center from a place where students go when “they just can’t manage things on their own,” to a more inviting vibe consistent with a hotel staffed with a concierge, or coffee shop with a helpful barista. The services become an integral part of the student culture, and stigmas associated with utilizing them are virtually erased. 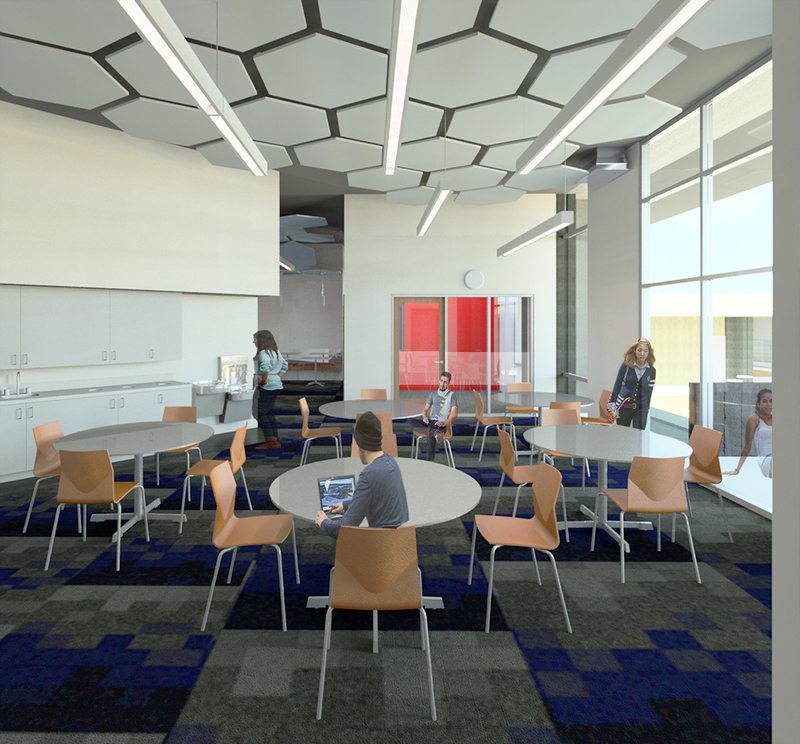 These student-centered spaces foster student success and peer-to-peer interaction, and provide neutral ground for administration and faculty to engage with students. 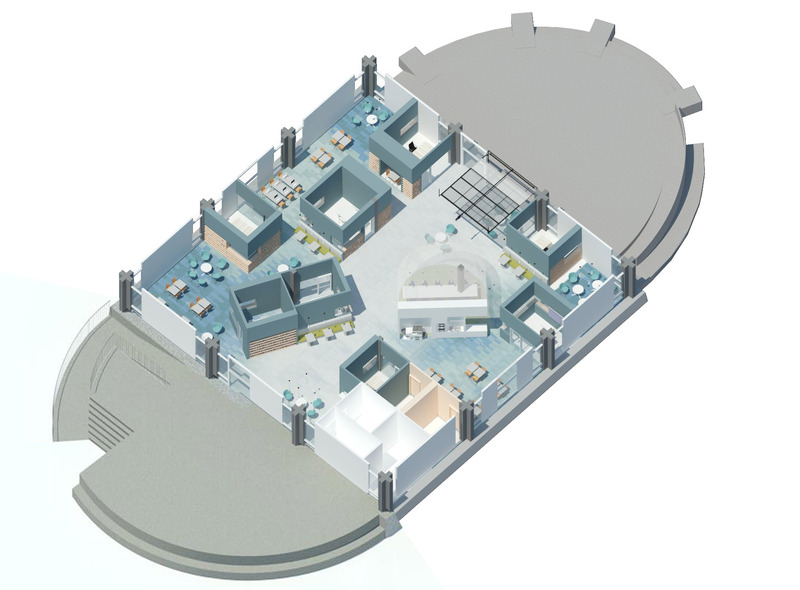 The image above shows the connection between a student kitchen and staff offices, which is represented with the door and two windows located in front of the red office wall (Image credit: Gould Evans). The result of our inclusive design process is an exciting, engaging design tailored to Mt. Pleasant’s needs. 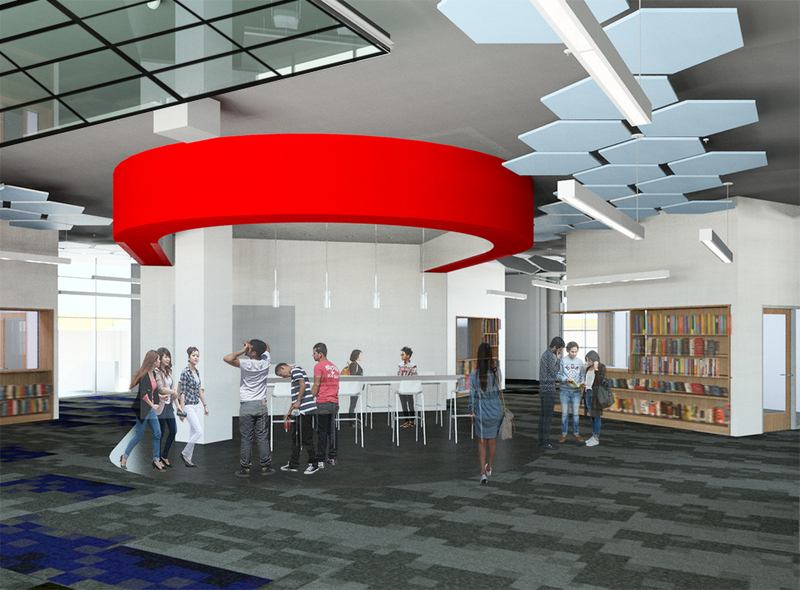 The District’s commitment to creating student centers at the high school level will help usher in a next generation of learners better equipped to handle the evolving higher education and workplace landscapes. 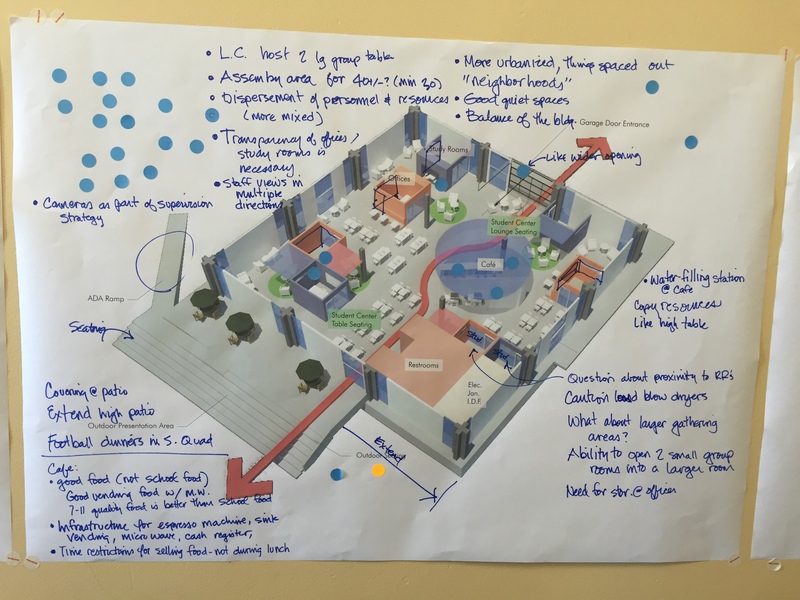 The process led the way, and revealed a design that could address very practical needs like study spaces and printers, but also incorporate larger ideals of equity, dignity, connection and community. The project recently obtained the needed building permit from the Division of State Architect and will begin construction in May 2017. Note: Brandon Kent will be speaking on this project at the Association for Learning Environment’s (A4LE) 2017 Annual Region Conference in May.